I received my May Birchbox really early this month, before I even had a chance to snoop to see what I would be getting. So, this box was a total surprise (besides the sample I chose). I couldn't wait to see what I got. I loved the box design again this month. They've been so pretty lately. 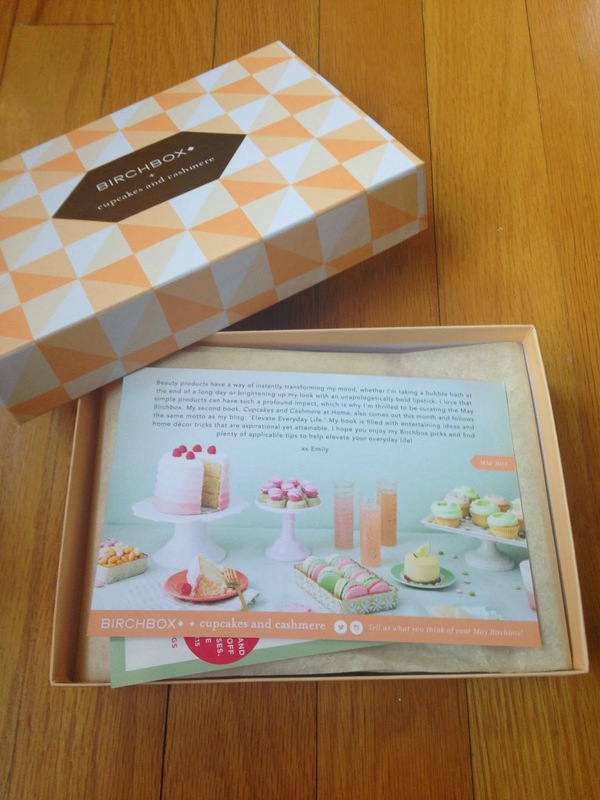 This month's box was curated by the blogger of Cupcakes and Cashmere, Emily Schuman. 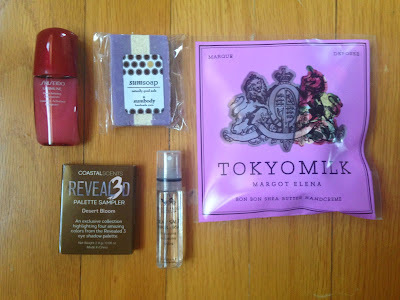 Here is everything I received this month. The sample I chose this month was Harvey Prince Sea Salt Texturizing Mist. 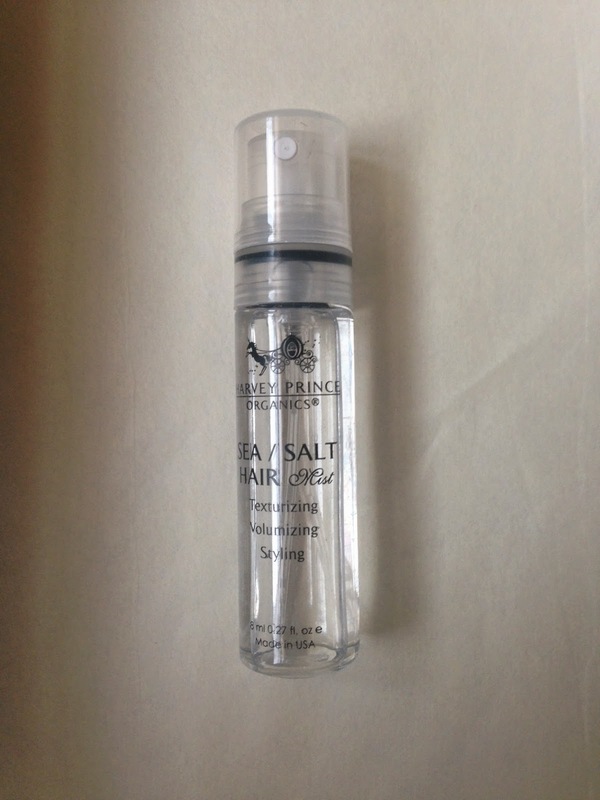 I've wanted to try a sea salt spray, but never receive them, so I decided to choose one this month. This smells pleasant, like perfume, but not overwhelming. It's very subtle when you spray it in your hair and smells pretty. 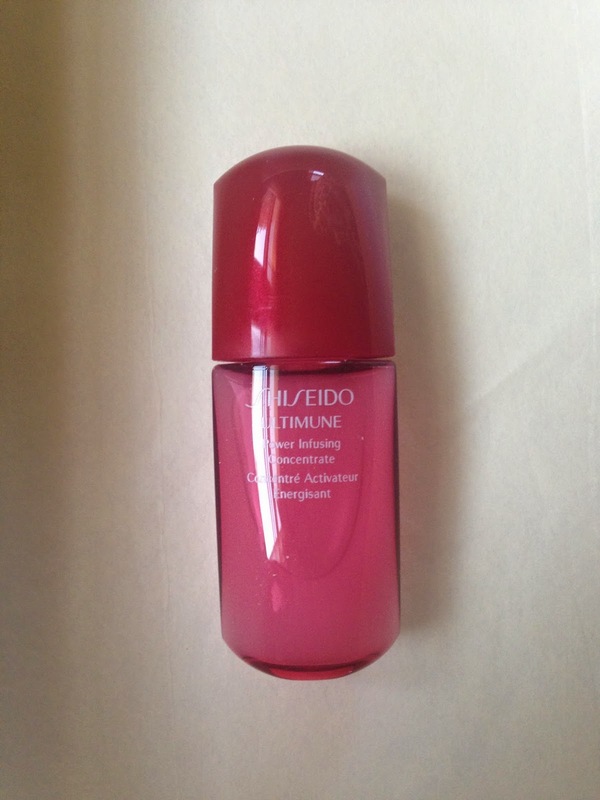 This gave my hair some texture, not tons, but my hair is stick straight, so I wasn't expecting a miracle. I think I will like this product through the summer months. 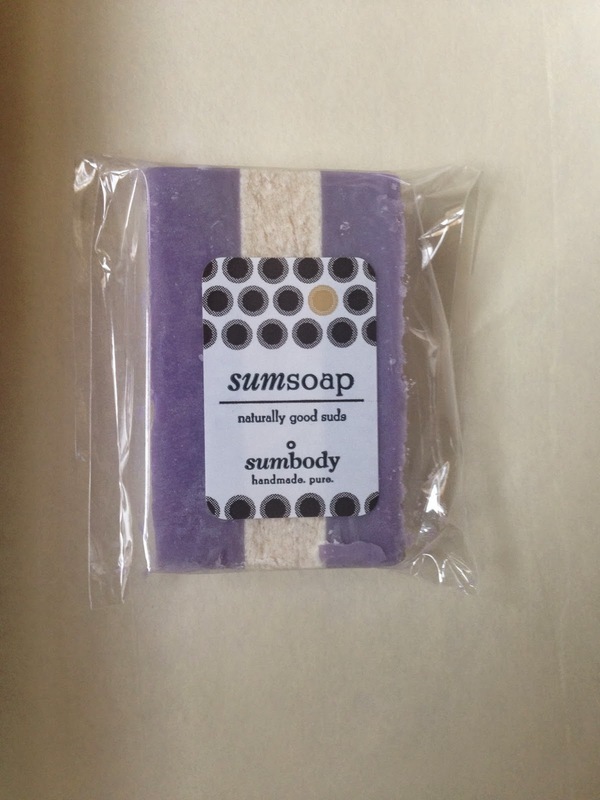 I was very excited to see Sumbody Body Soaps in Goats in the Lavender. I love bar soap and lavender is one of my favorite scents. This smells amazing! It's also moisturizing and made my skin smooth. I love it and will probably purchase this!!! 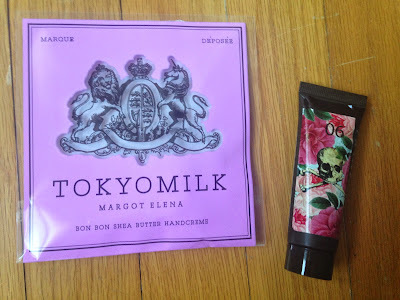 I also received Tokyo Milk by Margot Elena Bon Bon Shea Butter Rich Lotion. The packaging of this lotion was interesting and reminded me of Ed Hardy products. It wasn't really my style. I prefer very simple and pretty packaging. It smelled ok, not my favorite scent, but not awful. It wasn't too strong which was good. It worked well, but this wasn't one of my favorite products. The next sample I received was Shiseido Ultimune Power Infusing Concentrate. This worked well and sunk into my skin nicely. I didn't see any miracle results after a couple uses, but I never expect too. It feels nice on my skin and I will continue to use it. 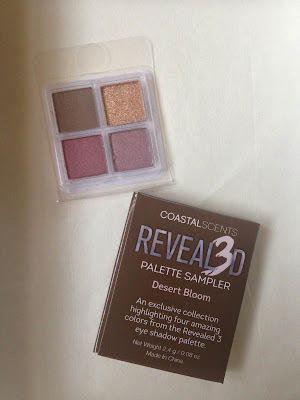 The final sample I received was Coastal Scents Revealed 3 Palette in Desert Bloom. I've received this eye shadow in different colors before and it was nice. 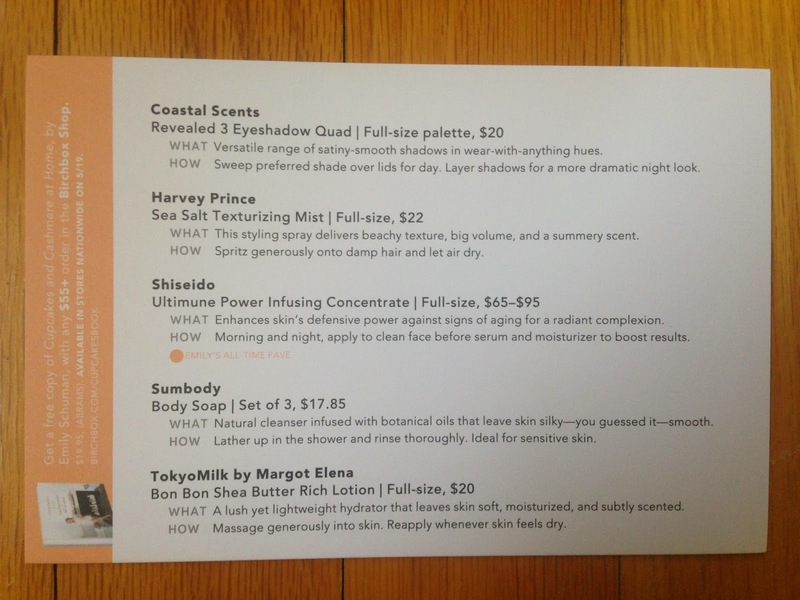 I like the colors included in this palette better, because they are brighter and fun for spring! 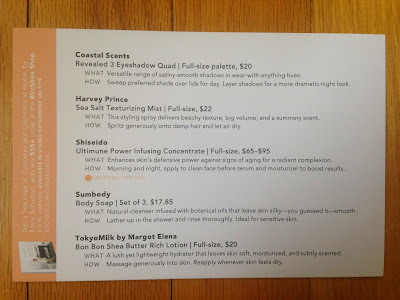 I was happy with the samples I was able to try this month in my Birchbox, but I don't seem to be getting a lot of variety in what I get. I might have to take a break and sign up again when I need a change in my make-up routine. I feel like I'm overloaded on products right now.